These days most mobile phone contracts include free minutes and texts, so do you really need to be paying for a package on your home phone? Check your usage and if necessary down grade to just paying for line rental. For example, if you use BT make sure you're on the correct calling plan. You might be paying for a plan that includes all calls made anytime when you only use the phone during the evenings and weekends, this would cost you an extra £4.50 on the current price plan. Similarly you might make a lot of day time calls and be on a plan for only evening and weekends, therefore you'd probably be paying more than £4.50 a month in calls. It's worth doing a quick check on a comparison website such as uSwitch to check if you're getting the best deal for your call usage. Also be aware that all calls only actually means calls to landlines within the UK, so you'll get charged extra when making calls to mobile phones, abroad and to any numbers beginning with 08, except 0800 being a freephone number. Watch out for added extras; for example I've just checked my latest bill and noticed I have been paying an extra £1.50 a month to get 25% discount on any calls made to mobile phones. 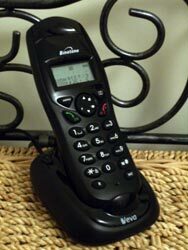 When ever I want to ring a mobile phone I always use my mobile as I get free calls. Needless to say I've just removed this added extra! You can also receive a discount if you opt for paperless billing and set up a monthly payment plan or pay by monthly direct debit. How often do you get a letter or bill in the post and you need speak to the company about something only to find it's a number beginning with 0845, 0844 or 0870. Don't ring those numbers as you will be charged more than a standard call, in particular 0870 numbers are they are actually premium rate numbers and will really bump up your phone bill. Even if you're on a price plan that includes all calls, you will be charged extra for calls to those numbers. A way to avoid this is to find an alternative number to ring. Go to www.saynoto0870.com and enter the phone number you need to ring and they will give you either a freephone number or a landline number to ring. It takes less than a minute and can save you a considerable amount on your phone bill especially when most of the phone call is spent in a queueing system waiting to speak to someone. Most people have computers connected to the internet these days and probably don't realise they can be used for making phone calls. You can make calls over instant messaging and if you use a webcam you can see who you are talking to as long as they have a webcam too. Another good idea worth considering is to sign up for a free account with Skype and encourage all your friends and family to do the same. Just plug in a headset with a microphone and you're ready to go. You can get them at Poundland and Amazon also sell them for around £2.00 to £3.00. Failing that if you've got speakers and a microphone or webcam with built-in microphone then you're already set up. Now you can call each other free of charge no matter where you are in the world, it will save you a small fortune on expensive phone calls. I've got a friend who lives in South Africa, her parents live in Turkey and she's got one sister in the UK and one in Australia and they all keep in contact with each other via Skype and it doesn't cost them a penny! So no excuses for not keeping in contact regularly. You can even make video calls which is great for grandparents that don't see their grandchildren very often. Even if friends don't have Skype you can sign up to one of their unlimited calls packages which start from £2.24 a month for unlimited calls to one European country of your choice. So depending on where you call it might be worth considering one of their packages.